Join in the fun on our last day of vacation events. 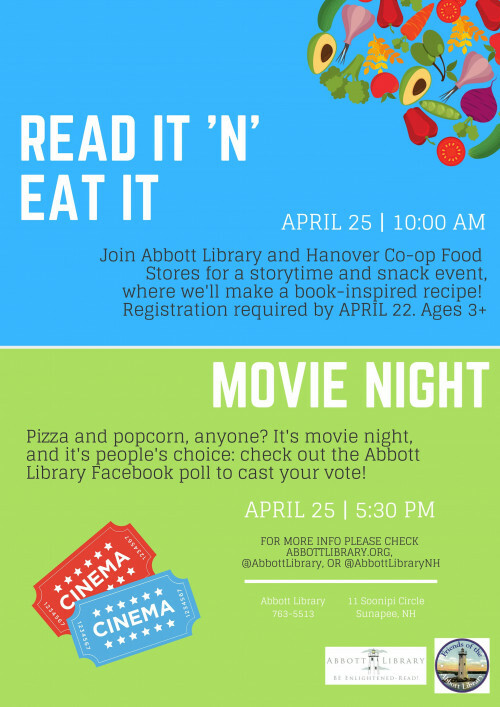 In the morning we're partnering with Hanover Co-op for a special storytime. Our popular movie night will conclude the week. Be sure to look for your chance to choose the movie! Check our Facebook page to cast your vote!